Happy June everyone! Can you believe May is already gone? I’m super excited that summer is officially here so I figured it would be fun to do some summer bookish recommendations to welcome the new season properly! These are all books I’ve read or am planning to read myself this summer and I really hope you’ll find them interesting as well! What book more fitting to read in summer than one that is all about the son of Poseidon? I have to admit I’ve only read the first two books in the series but I think it’s finally time for me to continue with it! I absolutely love Rick Riordan’s writing and Percy’s sarcastic humor makes these book super fun to read during any season but especially during summer! I’m planning on binge reading these in July, after my exams are over, and I can’t wait! Book Recommendations: Seven underhyped books I think everyone should read! Happy Monday everyone! Hope you’ll all have a great week! I’m so sorry for not being active lately. My college exams are coming up, which means I’m super busy studying. They end June 21st so I probably won’t be that active next month either, but I’ll try to post at least once or twice every week, I promise! And I’m also working on a few reviews so hopefully I’ll be able to post those next month, too. So for today, I decided to do another recommendations post since it’s been a while since my last one. There are some books that I have read and loved that I’ve noticed don’t get much hype on Instagram and other social media or are not too popular with readers. I really wanted to share these books with you, so here they are! I absolutely loved this book and in my opinion it deserves much more recognition than the one it’s getting so far. It might have nothing to do with Richelle Mead’s Vampire Academy series but it is equally amazing and I have no idea why it isn’t more popular. It was flawlessly written and it had everything I’m looking for in a good read. A charming, witty, unconventional hero, a badass heroine, plenty of action and strong elements of the mystery-thriller genre. And it was also set in an amazing world in the future. I’m honestly not making this book justice with what I’m writing in this blog post because it was seriously brilliant! And if you’re looking for a clever, fast paced, semi-dystopian and semi-mystety read this is definitely the book to pick up! 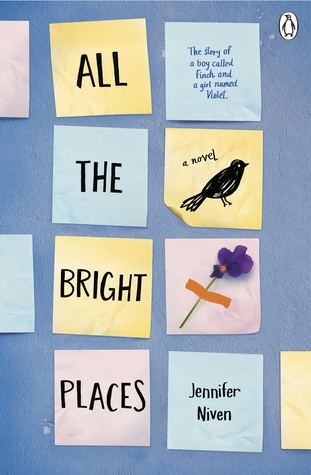 Book Recommendations: If you like this… You’ll like this! Hey guys! I decided it’s time for another recommendations post! But this time I’ll do things a bit differently. Instead of just writing down a list of books I recommend to you, I’ve picked some of my favorite reads and I’ll be using them to suggest books similar to them that I think you might like. So, I’ll be like: If you liked this… then you’ll like this. I tried to choose books from different genres to keep things insterested. Let’s start, shall we? Note: Clicking on the images will take you to the books on Goodreads! Starting off with my favorite genre and one of my favorite books in this genre. You all know how much love I have for Sarah J. Maas’s world and characters. So, I was surprisingly delighted to discover a book that I liked almost as much as Throne of Glass. Well, almost. Nothing compares to Throne of Glass in my opinion. And I said surprisingly because I never expected to like Snow Like Ashes as much as I did, because I knew I was going to compare it to the awesomness that is Throne of Glass and was afraid I would be majorly disappointed. Luckily I wasn’t! This wasn’t a five star book for me but it came pretty close. It had everything I’m looking for in a good fantasy read: action, scheming, magic and a badass female character. Much like Throne of Glass, actually. The books also had a similar setting. Both Meira and Celaena are fighting against a cruel king to reclaim a lost kingdom and they’re both very strong and determined characters. And Snow Like Ashes also featured a plot twist which was much like the one in Crown of Midnight but the world building and plot was completely different and even though Snow Like Ashes wasn’t as brilliant as Throne of Glass, it was still pretty amazing in its own uniqe way! So, if you enjoy epic fantasy reads with captivating plots, badass characters and magic, this is definitely a book you should pick up! I realized that I’ve never done a themed recommendation post before and what better way to start than with my favorite genre? High fantasy. High fantasy (also known as epic fantasy) is a subgenre or fantasy, that is usually defined by its setting in an imaginary world rather than the real one. Note that high fantasy is not the same as dystopian fantasy (although the two can merge) and it’s usually set in a world that is a stack in a previous era. Some typical characteristics of high fantasy include fantastical elements such as elves, fairies, dwarves, ogres, goblins, giants, dragons, demons, magic or sorcery, wizards or magicians, some type of monarchy, constructed languages, quests, coming-of-age themes and multiple point of views, and it’s protagonists can be typically called epic heroes. What I most love about high fantasy books is that each one gives readers the opportunity to enter a world completely different from their own. Speaking as a fantasy writer myself, the world building has always been one of my favorite parts of writing a story and I can deeply appreciate the beauty of a complexly crafted fictional world. High fantasy has risen in popularity quite a lot recently but the earliest – and most famous – example of the genre I can think of is probably Tolkien’s Lord of the Rings trilogy. Tolkien is undoubtedly the master of high fantasy and his Middle Earth is an exquisite example of how far imagination can go and one that all fantasy writers and readers should admire. Another popular high fantasy series that quickly comes to mind is A Song of Ice and Fire by George R. R. Martin. And while none of the books I’m going to mention here are as complex as the above two examples, they’re all fine represations of the high fantasy subgenre, which I totally loved. To make things easier I’m gonna split the books into three different categories. So let’s get started! My thoughts: Throne of Glass is one of my absolute favorite fantasy series, if not the favorite. What else is left to say about this one? I enjoyed the first book a lot but it was the next three books in the series that made me fall in love with Sarah’s world and writing. Queen of Shadows was absolute brilliance and I seriously can’t wait for the fifth book in the series, the title for which was recently revealed and is Empire of Storms! Such an awesome title, isn’t? If you haven’t read these books yet, what are you waiting for? Go pick them up now! Summary: Sixteen years ago the Kingdom of Winter was conquered and its citizens enslaved, leaving them without magic or a monarch. Now, the Winterians’ only hope for freedom is the eight survivors who managed to escape, and who have been waiting for the opportunity to steal back Winter’s magic and rebuild the kingdom ever since. My thoughts: This was a book that really took me by surprise. To be honest I didn’t expect to like it as much as I did and I was a bit worried to read it at first but it turns out my concern was all for nothing! I loved Meira and Mather and the plot was satisfying and fast paced. And that plot twist at the end really caught me by suprise! I was a bit skeptical about Meira since the beginning of the book but I never saw that coming! It did remind me a bit of Throne of Glass and I also had a slight problem with the names in this but other than that is was an incredible read! And I can’t wait to get my hands on Ice Like Fire! My thoughts: Stars! Cinder was one brilliant book! I loved everything about it. The storyline, the characters and above all that fairy tale twist! I was impressed at how Marissa took a classical fairy tale and turned it into an amazing story like this and I literally couldn’t put the book down. 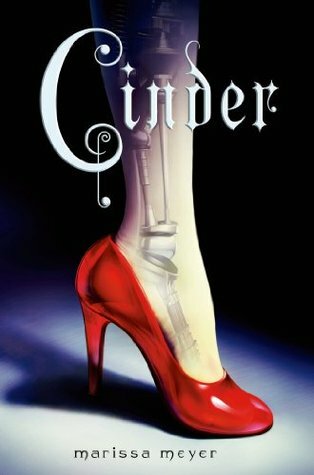 I think Cinder is one of those books the word unputdownable should be invented for. I can’t wait to read Scarlet and Cress and let’s not forget Winter is coming out soon, as well!